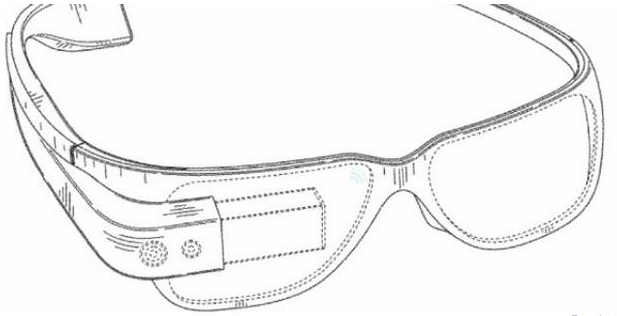 Since early April, Google has showcased future smart glasses project, called Project Glass. To become part of the intellectual property company, Google already patented the design of this products. Google try to use augmented reality technology on this product. The project, originally only a concept and then realized into real project. Google patented product in U.S. Patent & Trademark Office, Patent Full Text and Image Database through documents 1, 2 and 3. Previously, one of the founders of Google, Sergey Brin, wearing a prototype smart sunglasses at a charity event in early April 2012. After Brin, last time its Sebastian Thrun turn to wear that smart glasses. Founder and head of Google X is responsible for Google Project Glass. The Project Glass show off the photo results that have been taken using Google Project Glasses. The concept video, titled "Glass Project: One day ..." on YouTube, Google showed how smart glasses capable of take photo, showing directions through Google Map, check-in location, schedule appointments, and even do video chats. All activities would later appear in the lens, right in front of users. Apple will remove Google Maps in iOS6? Samsung Galaxy S III will be 2012 Most Popular Smartphone? No Physical Keypad in BlackBerry 10 Devices?